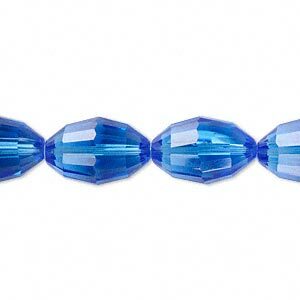 Bead, Celestial Crystal®, glass, 66-facet, medium blue, 15x10mm faceted oval. Sold per 15" to 16" strand. 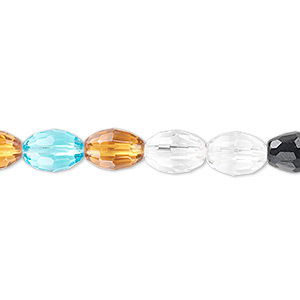 Celestial Crystal® glass beads are known for their soft, understated elegance. The faceting reflects lively highlights and colors. Celestial Crystal® is exclusive to Fire Mountain Gems and Beads®. Colors, shapes and sizes may vary slightly due to different dye lots and cutting techniques. 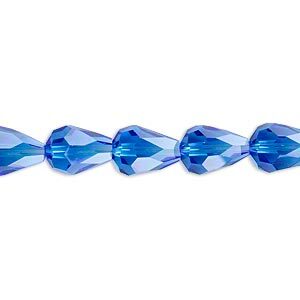 Bead, Celestial Crystal®, 56-facet, medium blue, 12x8mm faceted teardrop. Sold per 15-1/2" to 16" strand, approximately 30 beads. Bead, glass, 66-facet, black AB, 15x10mm faceted oval. Sold per 16-inch strand. 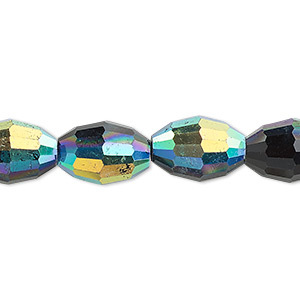 Bead, glass, 42-facet, multicolored, 9x6mm faceted oval. Sold per 16-inch strand. 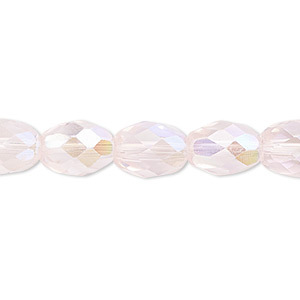 Bead, glass, 34-facet, pink AB, 11x8mm faceted oval. Sold per 16-inch strand. 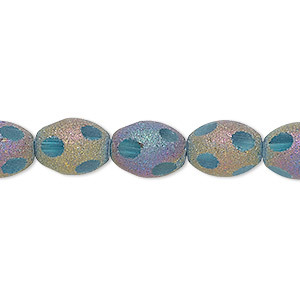 Bead, glass, aqua blue with pastel stardust finish, 11x8mm oval. Sold per 15-1/2" to 16" strand. 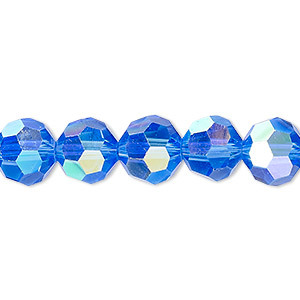 Bead, Celestial Crystal®, 32-facet, transparent medium blue AB, 10mm faceted round. Sold per 15-1/2" to 16" strand, approximately 40 beads. 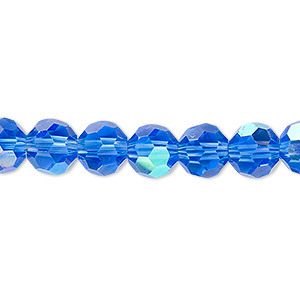 Bead, Celestial Crystal®, 32-facet, transparent medium blue AB, 4mm faceted round. Sold per 15-1/2" to 16" strand, approximately 100 beads. 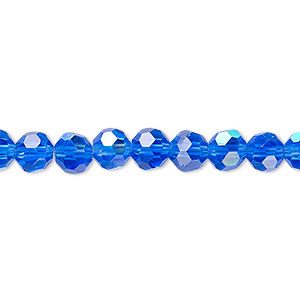 Bead, Celestial Crystal®, 32-facet, transparent medium blue AB, 6mm faceted round. Sold per 15-1/2" to 16" strand, approximately 65 beads. 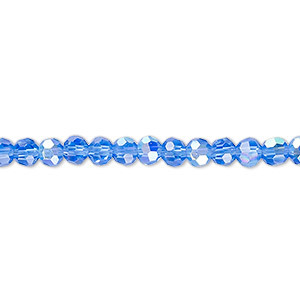 Bead, Celestial Crystal®, 32-facet, transparent medium blue AB, 8mm faceted round. Sold per 15-1/2" to 16" strand, approximately 50 beads. 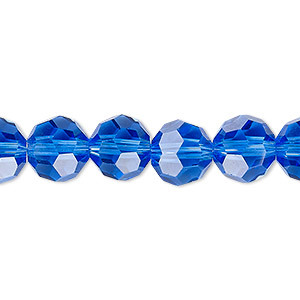 Bead, Celestial Crystal®, 32-facet, transparent medium blue, 10mm faceted round. Sold per 15-1/2" to 16" strand, approximately 40 beads.